So the Football Transfer Window is about to slam shut for the summer in 40 minutes time (as I type this) and for the first time in many seasons Leeds have actually come off rather well! OK, they lost Aaron Lennon due to wage issues and Eirik Bakke has gone on loan to Aston Villa until January (although if they want to pay his extortionate wages then they’re welcome to him). 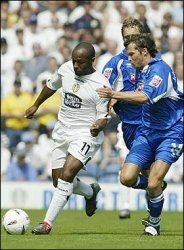 Other names such as Julian Joachim, Clarke Carlisle, etc have gone but with all the new signings over the summer they would struggle to get a place in the new, improved Leeds United First Team anyway. 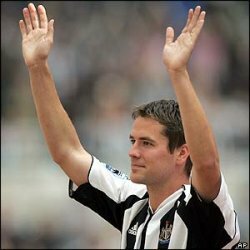 Away from Leeds probably the most major signing of the summer (if you forget about Chelsea’s regular shopping spree) is Michael Owen’s surprise move from Real Madrid to Premiership strugglers Newcastle United. 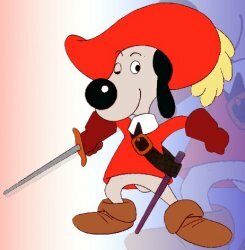 Newcastle have been chasing Owen for some time and if I am perfectly honest I didn’t think he would go to Tyneside and thought something fishy was going on. I believed the chairman who is by far a fans favourite was making the bid as an exercise to win fans over although had no real plans of making the signing. Obviously I was wrong although the fans did make me laugh today. Sunday, after losing 2-0 to Manchester United they were chanting “Sack the board” now they are singing the chairman’s praises – the word “fickle” comes to mind. Lastly everyone keeps saying how Owen is a “Proven” 20 Goal A Season Striker. Wrong! Owen has never scored 20 LEAGUE goals for either Liverpool or Real Madrid so I don’t know where that statistic has come from. Don’t get me wrong I rate Owen. He is one of the best English strikers playing today and Newcastle have a star player but the £17mill they paid for him is far too much in my opinion. Still, as an England fan I wish him well and hope he can improve his skills and fitness even more ahead of The World Cup next year. It’s been a good Bank Holiday Weekend. Firstly as I mentioned the other day, Super Leeds United beat Norwich City 1-0 and England’s cricket team beat The Aussie’s to go 2-1 up in the series. I also managed to watch all three Star Wars prequels (Phantom Menance, Attack of the Clones and went to see Revenge of the Sith). All the reviews were right, Phantom Menace was rubbish and Jar Jar Binks was very annoying, he reminded me so much of Vanessa from Big Brother. 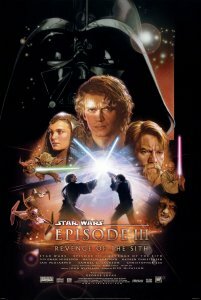 Attack of the Clones was good but the latest Star Wars movie Revenge of the Sith was by far my favourite of the three. The transformation of Anakin Skywalker into Darth Vadar across the movie was excellent. I’ve also been watching the highly acclaimed television series Lost. I did start watching this last year but for some reason never got into it. I’m watching the Region 1 DVD at the moment and am up to episode 8 (so ahead of Channel 4 viewers now) and am really enjoying it (I’m off to start DVD#3 after this blog entry). The weather’s been great this weekend as well so I didn’t spend the whole time inside watching DVDs. Saturday night I had a barbecue, quite possibly the last one of 2005. It’s been another win for Leeds today against another top team and another clean sheet beating Norwich City 1-0 in their own backyard. The quality in performance from the Leeds players easily equalised that of the former Premiership team but went one step further by putting the goal in the back of the net and grabbing all 3 points. For the first time in a long time it feels very good to be a Leeds fan. Hopefully it’s not too pre-mature but I am feeling optimistic for this season and strongly believe The Whites can win promotion to The Premiership. To make things better this weekend England are doing well against The Aussies. Hopefully they can win this test, then the Ashes and send The Aussie Convicts back down under all upset. Brainaic returns to Sky One this evening for a brand new series. 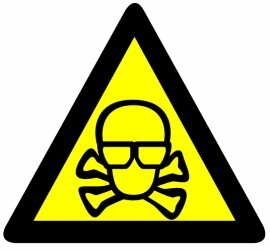 The light hearted, exciting science show is presented by Top Gear’s Richard Hammond who is accompanied by Dr. Bunhead, John Tickle from Big Brother 4 and a group of other Brainiac “scientists”. This series promises to show us at what temperature a sausage on a barbecue will burst into flames, what kind of child needs the strongest sunscreen, how many people you can fit into a caravan and if it is possible to walk in a tub of golden syrup. All issues man has wondered for hundreds of years but has never found out – until now. With shows like Brainiac to educate students it is no wonder GCSE grades are improving. Brainiac is on Sky One this evening at 8pm. 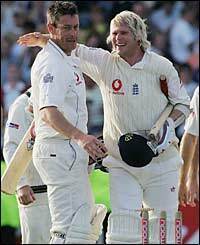 The England cricket team start their fourth Ashes match of the series tomorrow against Australia. I’m not really a cricket fan but like millions of other Brits have been drawn into supporting our national team across the summer tournament. It’ll be tough but hopefully England can do it, the crowd will certainly help. So for the crowd tomorrow and the fans staying at home to watch the match here are some football style chants to sing (all in fun of course)…. 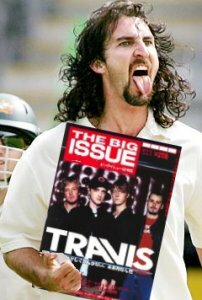 Jason Gillespie. He may be a Australian international but he looks like a tramp. 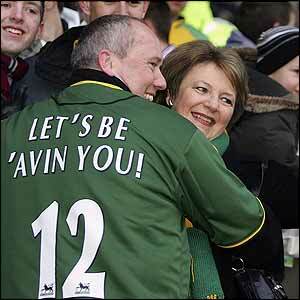 In the true football fan tradition feel free to taunt him with Gypo! Gypo! Gypo! Are you Zimbabwe in disguise? 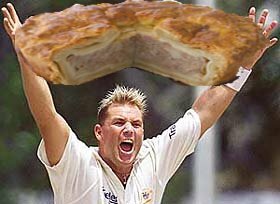 Shane Warne, great player but since returning from a drugs ban he has lost a little pace and is getting old and fat, tell him so and remind him of this drug taking past…. You are all the pies! We all know the Aussie’s originated from British convicts don’t we…. You’re going home on a criminal ship! In football when the referee makes a bad decision the crowd let him know. Umpires are normally better but if they mess up let them know…. 76 for 2 to the umpire….